코펜하겐, 덴마크의 B&B 린다 | 호스텔월드에서 예약하세요. 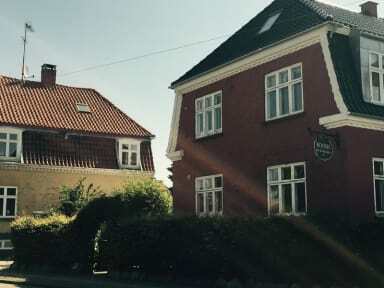 Double rooms in private villa, own entrance shared bath and toilet. View of garden with flowers and trees. Host speaks English, Danish and French. Guests are provided with linen and towels. Free internet access and TV in every room. Guest can use the garden to relax or eat their meal in. Breakfast can be arranged during the weekend for an additional 90kroners per person. Tourists have access to their own kitchen but must clean up after themselves. 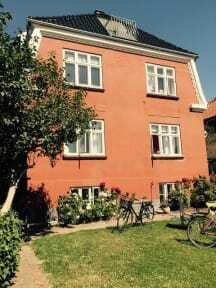 This B&B is in a private house which means that if you need to get the key, it is not possible on weekdays until after 16.00 and on weekends from 8-11 and from 18-20 .There are possibilities for leaving your baggage in the garden under the laundry line or in the little garden house if it isn't being used by other tourists. There is a lovely garden which may be used to relax in and you may eat your breakfast or dinner there when the weather is suitable. Payment upon arrival -cash only! 4 double rooms including a little cabin in the garden. Two of the rooms have an extra bed and one of the rooms can easily sleep 4 people. Breakfast not included. Breakfast can be arranged during the weekend for an additional 90kroners per person.